February 27, 2019 - Make Coffee You Love! Technivorm is a storied drip brewing brand that offers tank-like durability and proven performance. Coffee from a Technivorm is strong, unique, and bold. We thought we'd take a look at the features of different Technivorm models, while also ogling those sweet new colors! The KBG741 is our staff pick among the Technivorm lineup. This brewer features a simple design and is very easy to operate. All you need is coffee and water! The biggest selling point here is the consistent temperature offered by this brewer. In 5 minutes this machine brews HOT coffee. This consistent temp is extremely important for proper extraction too. The copper boiler inside the 741 brews at 200 degrees Fahrenheit consistently, with the carafe keeping the coffee at around 180 degrees Fahrenheit. There is also a thermal carafe version with the KBT741 model number for those that prefer stainless steel carafes. Each machine in the Technivorm line shares a similar aesthetic. Based on the original industrial design of the original 60s Technivorm, you'll either love or hate its look. Either way, it's impossible to argue that the new colors don't spruce up an already bold appearance. While the thermal carafe version doesn't feature the color range, these bright coats of paint are real eye pleasers! The 741 is the flagship machine in Technivorm's line, and is the only model featuring the full range of colors. 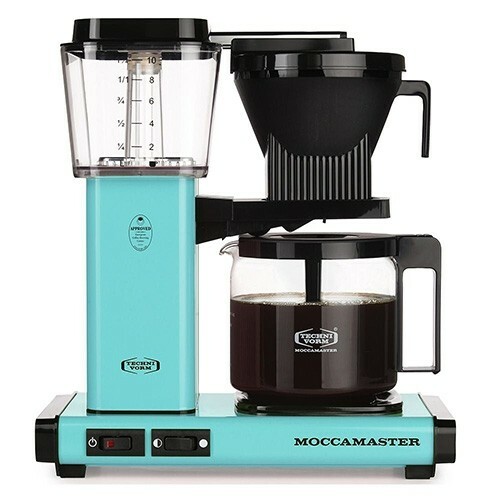 Other machines by Technivorm offer different carafe styles, higher volume, and different looks, but all function largely the same. The biggest thing that people tend to dislike about this line is the lack of programmability. These machines don't offer any ability to change temps, water volume, pre-infusion, etc. Technivorms brew how they brew. Luckily, they brew very well. 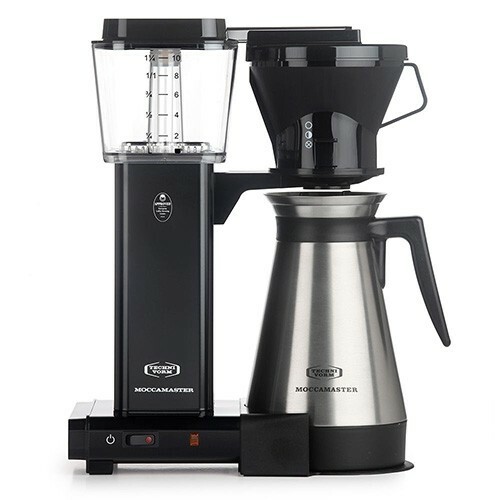 Check out the Technivorm KBG741 on Seattle Coffee Gear today! This entry was posted in Gear Guides on February 27, 2019 by Pat Cotter.